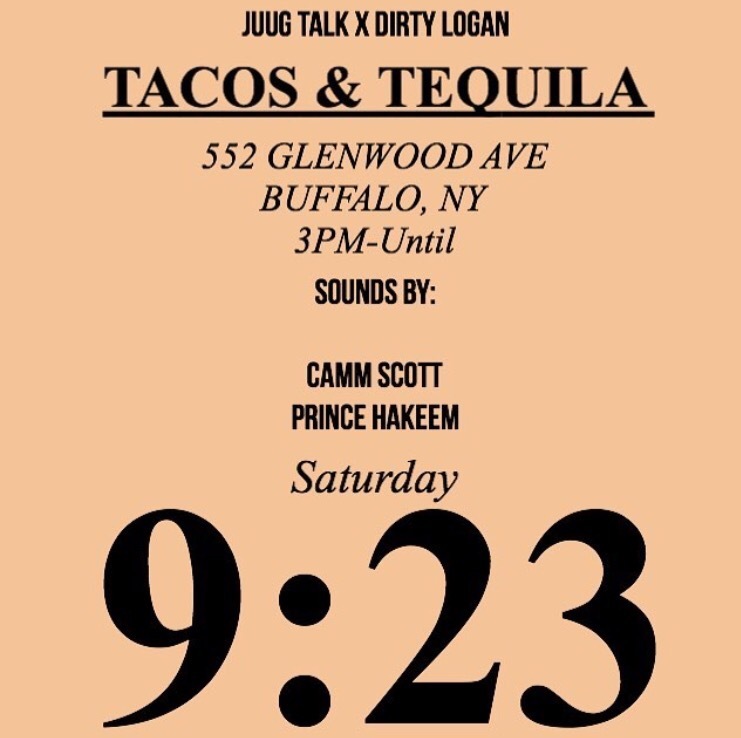 Sladderdaze in the East: Dirty Logan X Juug Talk presents Tacos & Tequila – Buffalo [Sept 23rd] – Be Fearless. Be Flagrant. 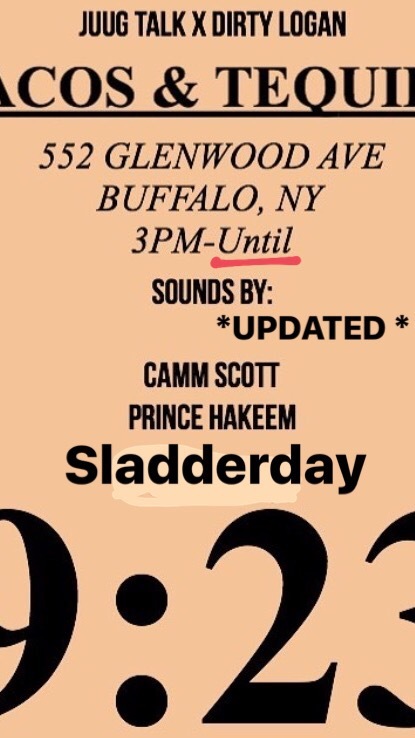 ﻿Pull up today and hang with the Dirty Logan Gang and Juug Talk!!! One more time while the weather is amazing because it’s cool in Cali where BuffaLowe is, and it’s heating up back East in The Queen City of Buffalo, NY. 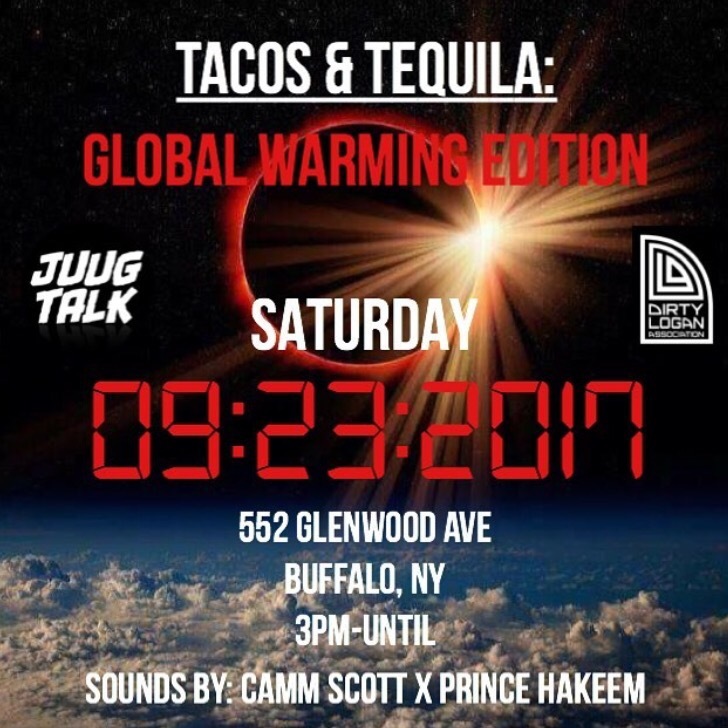 Free tacos until supplies last, $10 unlimited drinks!